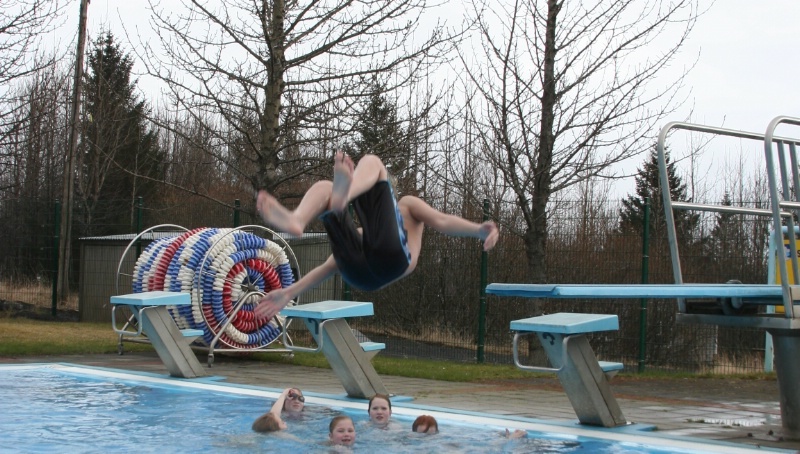 ​This tour is an exciting one week family adventure to explore Iceland´s fantastic nature, geology and Viking history. 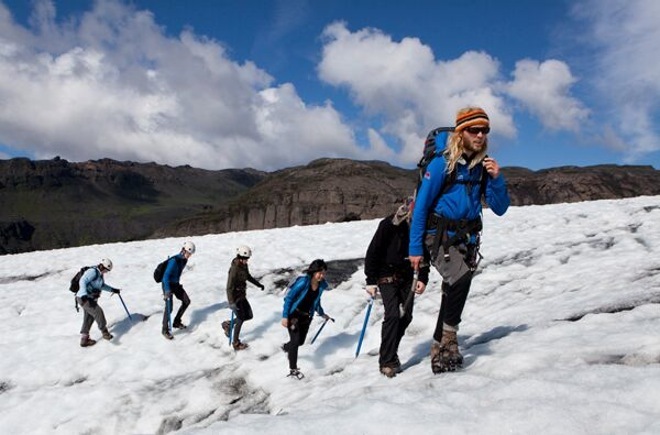 We will visit and bath in hot springs, climb and ride snow scooters on glaciers, visit ICE-SAR (Search and Rescue), ride the sturdy Icelandic horse, go kayaking and visit the places the Vikings called their home. 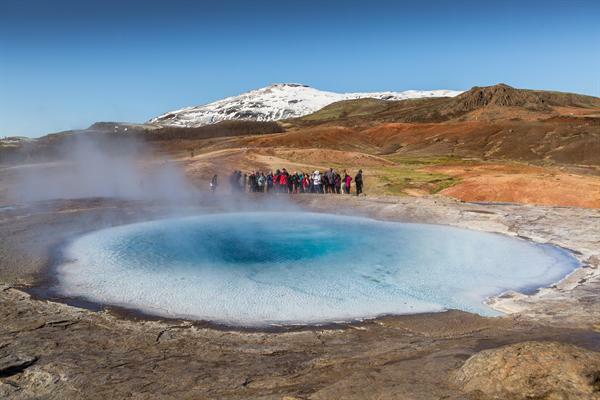 To travel in Iceland is just like a fun lesson – nowhere in the world but in Iceland you can „touch“ history and geology in such an exciting but safe way. Travel with dedicated guides specializing in family tours. Choice of accommodation in friendly family guesthouses, hotels or self catering summer houses. Price: Depending on family size. 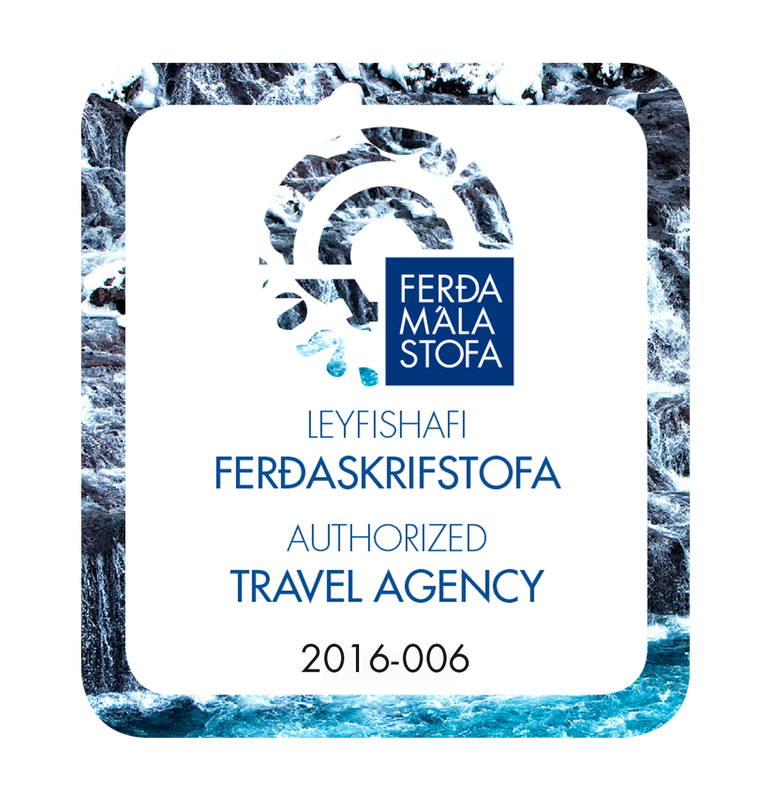 Please info@exploringiceland.iscontact us for prices. After breakfast we head towards the South Shore with its magnificient waterfalls and glacier views. At Seljalandsfoss we can even walk behind the mighty waterfall! 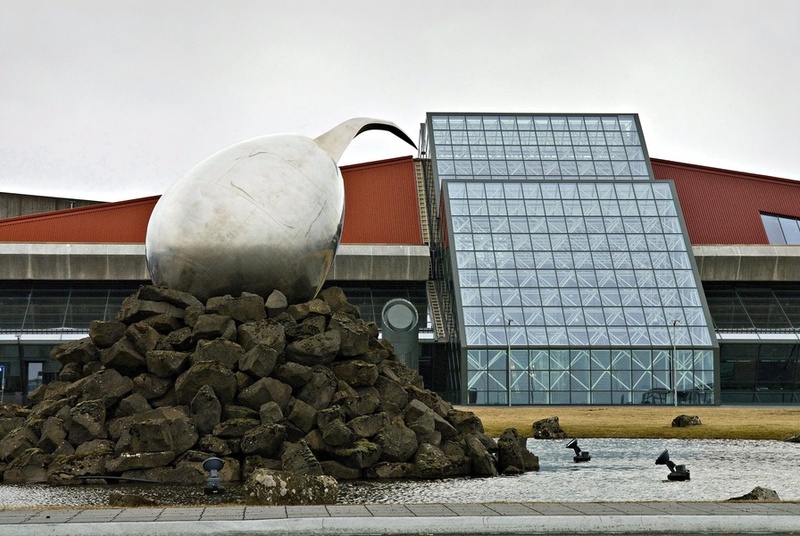 We visit the Eyjafjallajökull Visitor Center which is dedicated to the huge volcanic eruption in 2010 that practically grounded all atlantic air traffic for several weeks before heading towards the beautiful village of Skógar with its majestic 60 m Skógafoss waterfall. We visit the lovely open air museum which takes us centuries back in time. At Sólheimajökull a guide awaits us for a walk with crampons and ice axes on top of the glacier. On our way back we take a walk along the black beach of Reynisfjara with its spectacular basalt column formations. Back to the guesthouse and perhaps a visit to the local geothermal pool after dinner? 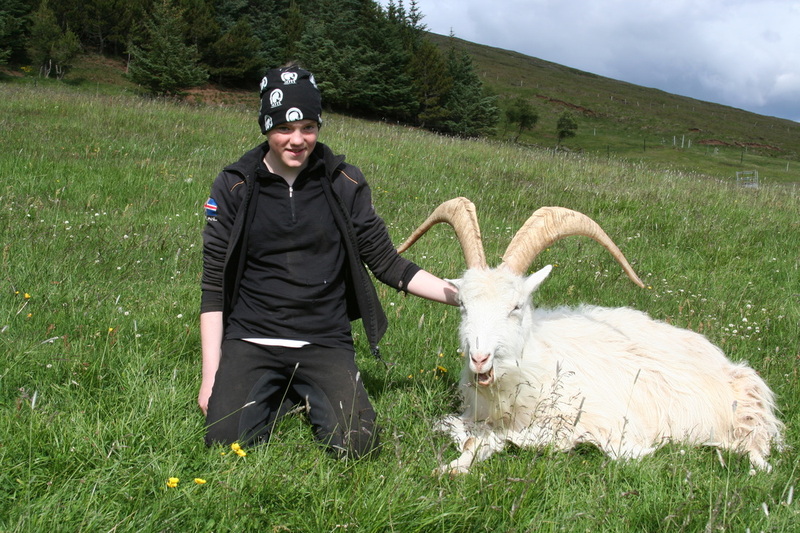 The first part of today is dedicated to Icelandic Farm life. 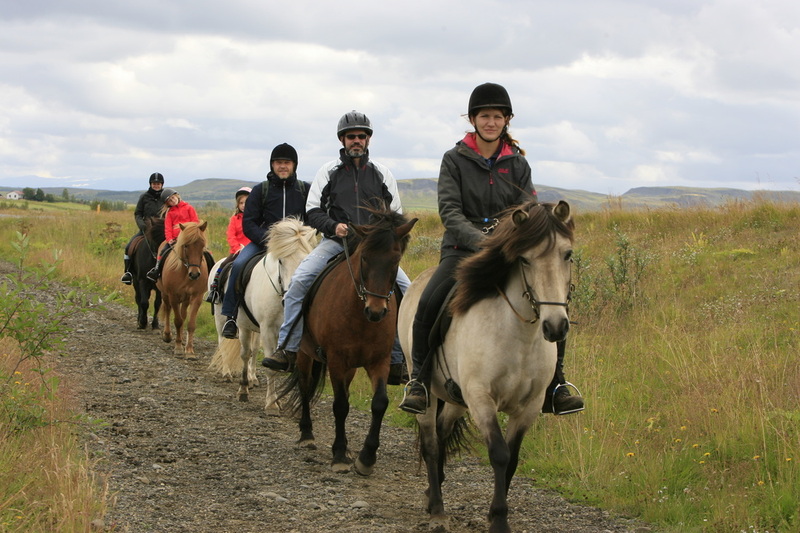 We visit a farm with many cuddly farm animals and go for a ride on the sturdy Icelandic Horse (optional tour). This tour is suited for beginners and experienced riders as well, small children can be let by an adult. Icelandic Horses are known for their friendly character and special soft gait, the tölt. 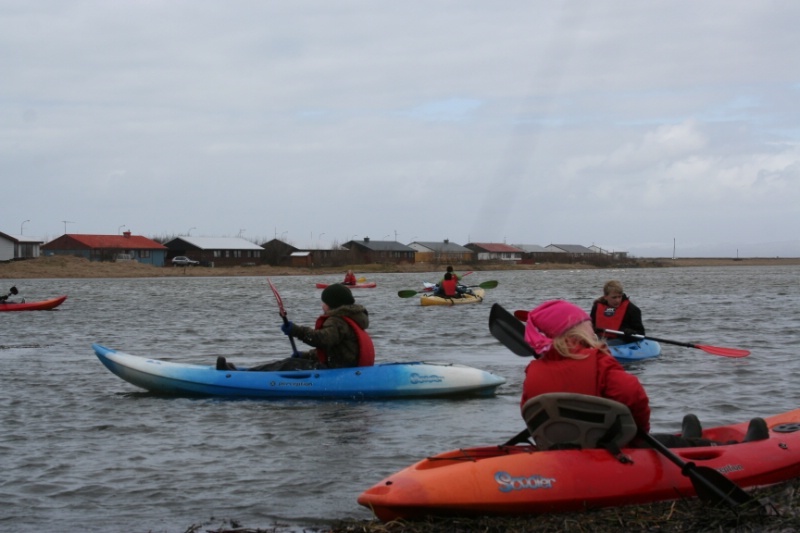 On we go towards the coast again for an exciting kayaking tour on the lakes at Stokkseyri before we go for a group visit to the local pool to splash in warm water and take on the water slide! The last exciting stop today brings us to an ICE SAR Station (Icelandic Search and Rescue) where members of the group meet up with us and tell us about their education and life saving missions. Today will be the most fun geology and history lesson you ever had! Your guide takes you right upon the Midatlantic Ridge where Europe and America are drifting apart by about 2 cm a year, forming a lake filled valley in between the continents. Clearly we can see the outlines of the dividing plates as we drive and walk through Þingvellir Nationalpark. But this area is also one of the most important historical sites in Iceland. This is the place where the Icelandic Parliament was founded by Viking settlers in 930 AD and we can still see some of the sites such as the „drowning pool“ and the „lawspeakers hill“. For fans of the Games of Thrones films this area should look familar since many scenes of this famous show were shot here at Þingvellir. 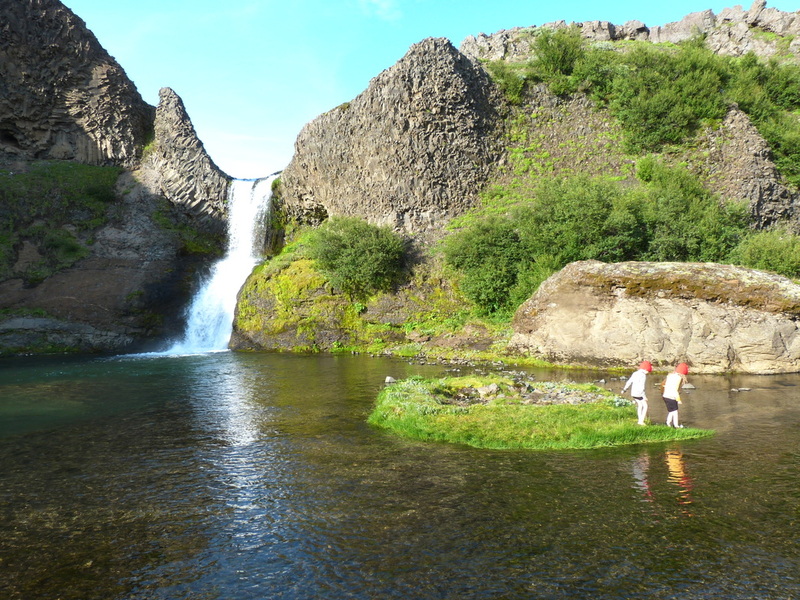 We continue to West Iceland to see the beautiful Hraunfossar, sometimes also called Lava Falls. 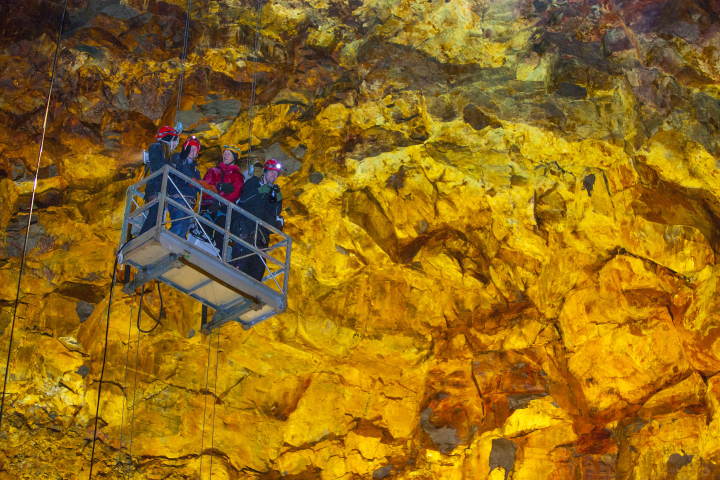 They are a very unusual natural phenomena. Cold subteeranean spring water seeps through the lava and runs as hundreds of tiny waterfalls and rapids into the Hvítá River. Of course we need to take some time as well for the cuddly goats at Háafell farm that are always just waiting for some companions to run and play. 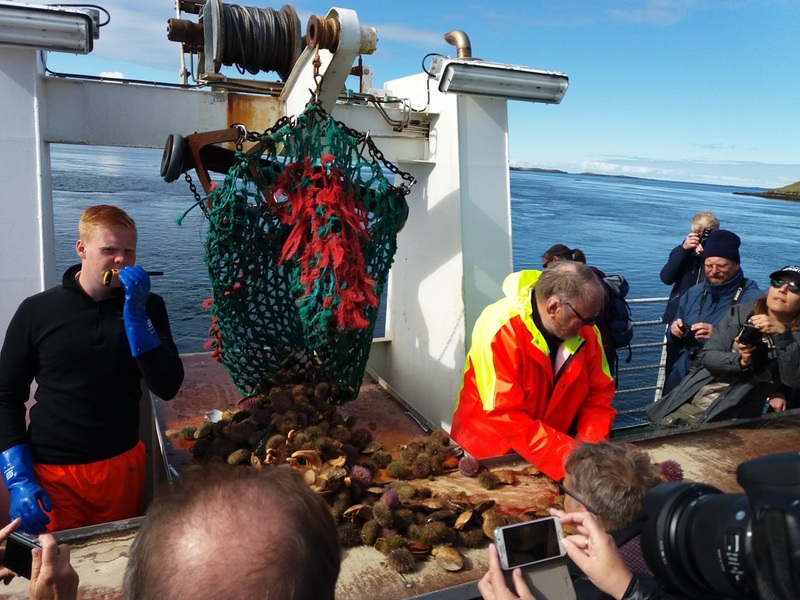 We head off to Eiríksstaðir, the home of the famous and ferocious Viking Erik the Red who settled in Greenland and founded a Viking Settlement on the huge icy island. His son, Leif the Lucky, sailed to and later settled in Vínland, the modern Newfoundland. 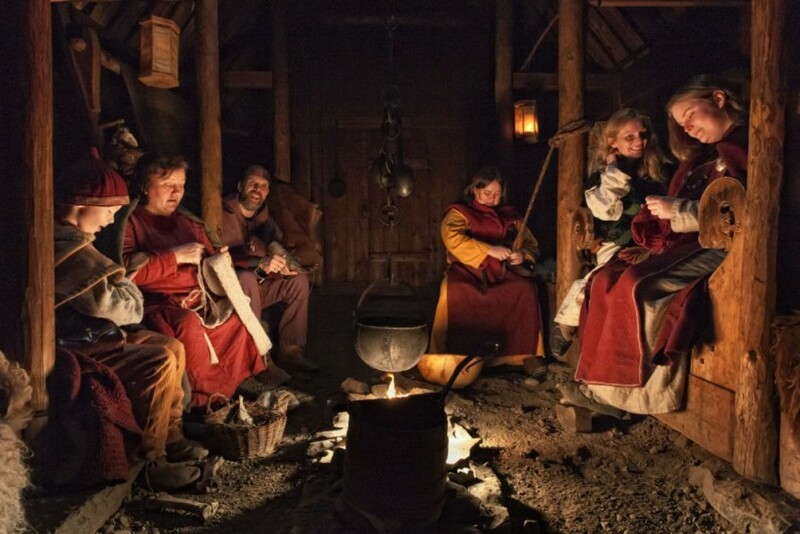 At Eiríksstaðir we get a fascinating insight into the daily life of the Viking families. For everybody with a „sweet tooth“ there will be a stop for some homemade ice-cream at the dairy farm Erpsstaðir. The coastal town of Stykkishólmur boast beautiful views of the Breiðafjörður fjord. Here we go by boat on a Viking Sushi boat tour. Not something you are likely to forget soon! Back to Hraunsnef Country Hotel for the night. After breakfast we take our first stop at Borganes, a beautiful coastal town where we visit the Settlement Exhibition. It provides a fascinating insight into the settlement of Iceland based on early written sources. It tells how the land was discovered, how the Viking sailors conquered the open ocean and why they left their homelands in Norway. It tells of the first men to set foot on the island and how the land was settled up to the establishment of the first parliament in the world, the Althing, at Thingvellir in 930AD. At Akranes we become Vikings ourselves when we produce our own Viking necklaces before visiting the Saga Museum in Reykjavík, where life-like replicas of historical Icelandic figures have been created, based on descriptions found in the Viking sagas and chronicles. Clothing, weapons and everyday objects were constructed using traditional methods passed down through the ages. The weapons were specially crafted and the wool and linen articles dyed by hand. Arrival at your hotel in Reykjavík in the early evening. Guided 6 day tour according to program above. All Museums and Vistor Centers mentioned in description. 1x visit to the Secret Lagoon, Goat farm and the ICE SAR Team. Viking Sushi Boat and Kayak tour. 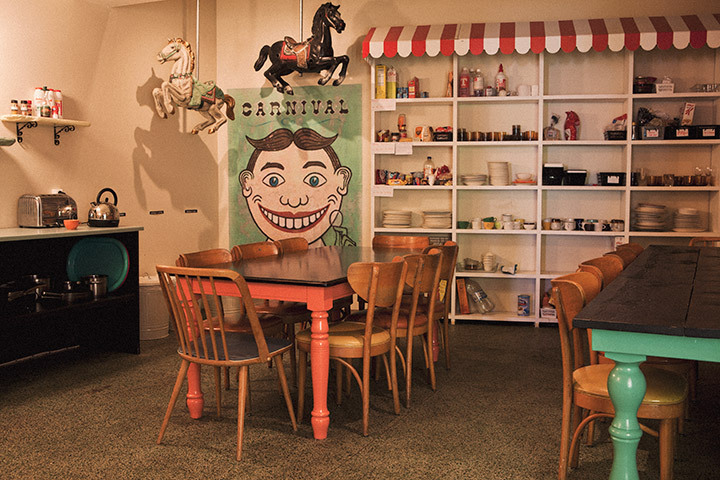 Free pick up and drop off at accommodation in Reykjavík area.